If you are looking to relocate in the Greater Vancouver area, you should consider buying a home in the small community of Port Moody. Port Moody is found in an impressive natural setting just forty minutes drive east of Vancouver, at the end of the picturesque Burrard Inlet. Nestled at the base of the majestic Eagle Mountain, this recreation-rich community is home to a protected harbour, offering kayaking and boating, and to gorgeous forested parklands with mountain vistas, glistening lakes and hiking trails. Also in the community you will find Civic Centre Complex, Buntzen Lake Recreation Area and Belcarra Regional Park. This charming destination is part of the renowned Tri-City region comprised of Coquitlam, Port Coquitlam and Port Moody. 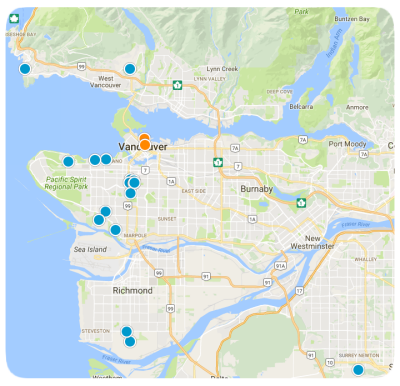 Tri-City is one of Metro Vancouver’s fastest growing suburbs and Port Moody is the smallest of the three cities. Living in Port Moody affords residents a delightful, quiet, laid-back lifestyle, while simultaneously providing easy access to all of the big city services of the region, including Coquitlam Mall. In addition to the shopping and dining options found at the mall, residents can also enjoy the commercial hub of the community, Newport Village. Newport Village boasts a cosmopolitan ambiance and is home to multiple hi-rises and an alluring walkable layout. Rich with specialty retailers dealing in baked goods, produce and gifts, alongside ethnic restaurants and desired services, Newport Village is like a miniature Whistler Village. Those desiring to invest in Port Moody real estate and those wishing to relocate here, will be pleased to find a variety of homes available. Port Moody neighbourhoods include the Village of Belcarra, Heritage Woods, Heritage Mountain, North Shore, Anmore and Port Moody Centre. The Moody Centre neighborhood is located south of St. John’s Street and is home to family-friendly parks, gorgeous historic buildings, multi-family and single-family homes. With pedestrian-friendly streets, Moody Centre is popular among families and affords easy access to excellent schools, area health care centers and a number of other desirable amenities. If you would like to learn more about the homes for sale in the Moody Centre neighbourhood of Port Moody, please contact us today.